This Keynote Product Roadmap Template is based on our leading format started back in 2005. This Keynote file is Mac Compatible. Uses standard Keynote editing features – You can update all shapes easily. Roadmap Legend – Shows status for the activity items in the workstreams. Timeline – This is set at a 1 year and 2 months duration, and can be easily changed. Milestones – Uses standard comment shapes. You can arrange milestones along your timeline. Four Workstreams – There are four project workstreams for you to rename to your business areas. Project Activity Bars – Within each workstream there are bars for each main project activity area. Notes Areas – 3 table areas where you can add notes to tell the rest of your “Product Roadmap Story”. This format is also available in Microsoft Visio format and Powerpoint Format. Rating for Keynote Product Roadmap Template (Mac Compatible) Template: 4.5 out of 5 , based on 1 customer reviews. This Keynote Marketing Plan Template includes slides for Marketing Rollout, Conversion Funnel planning, Conversion KPI, and full Marketing Roadmap. This Keynote Portrait Roadmap Template is Mac Compatible, and is social media friendly – ideal for sharing on Pinterest and other image-focussed platforms. This easy-to-follow Keynote Roadmap Template Guide will walk you through a 6 step process to create your own Project Roadmap in Keynote. 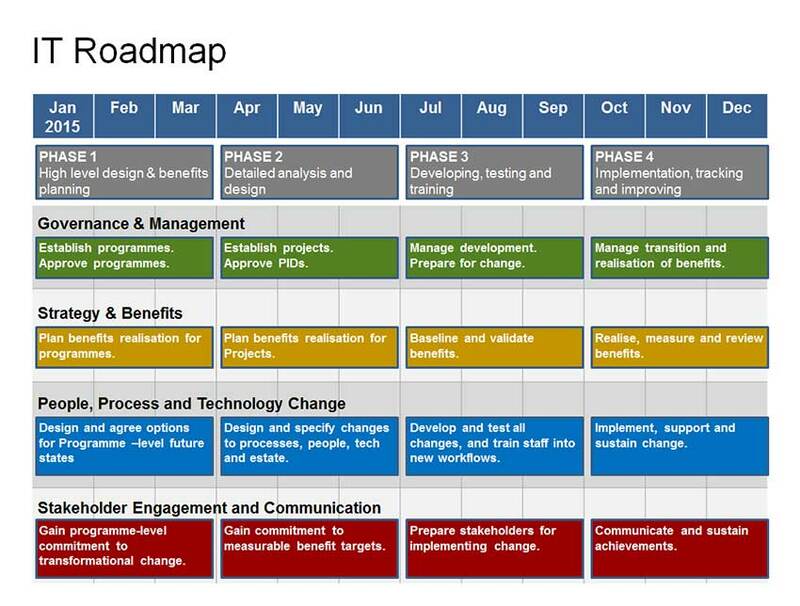 Our most popular Visio Roadmap format, first started in 2005! With 5 Workstreams, Activities, Milestones, Risks – the best “at a glance” planning format. This Product Manager Keynote Template Discount Bundle gives you 51% off some of our most popular formats. They are created natively in Keynote for Mac compatibility.